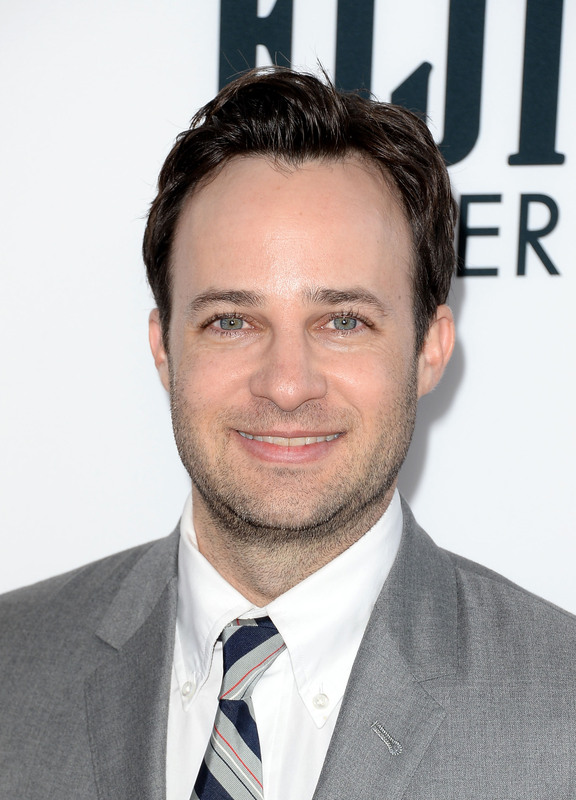 How Did 'The Butler' Writer Danny Strong Go From 'Buffy' to Emmy-Nominated Screenwriting? If you've passed a poster for Lee Daniels' The Butler anytime this summer, chances are you had to squint to read the laundry list of A-list actors lining Forest Whitaker's back, but you couldn't have missed the giant "Written by Danny Strong" at the bottom, in a font big and bold enough to catch your attention and make you say, "Who?" Strong, who wrote the screenplay for Daniels' well-reviewed film, is hardly an unknown, but it's surprising to see him get such front-and-center billing on the movie's poster. Unless your name's Aaron Sorkin, even the most respected screenwriters rarely get such publicity, unless they also had a role directing/producing/acting in the movie. Strong did none of that. He simply wrote the script. Yet, there he is on the poster, his name bigger than Oprah's. A screenwriter, someone who typically stays behind-the-scenes, getting major media attention? What gives? It's because Strong has the best success story of anyone in Hollywood. What's now an Emmy-winning writing career wasn't even a blip on the radar of possibility 10 years ago, when he starred as Jonathan, a member of the evil-geek crew The Trio, on Buffy the Vampire Slayer. That's right — the Danny Strong who's earning Oscar buzz for writing The Butler is the same Danny Strong who played one of the three nerds who attempted to take over Sunnydale in the sixth season of Joss Whedon's beloved series. And he's also the same Danny Strong who played Doyle, the newspaper editor soulmate of Paris Geller, on Gilmore Girls for four seasons. Take a moment to let that sink in. For fans of Buffy and Gilmore Girls, Strong's transition from nerdy actor to in-demand screenwriter might come as a shock, but it's not actually as sudden a rise as it seems. In 2008, fresh off his stint in Gilmore, he wrote Recount, an HBO made-for-TV movie about the 2000 presidential election. It won three Emmys and was nominated for six more, including one for Strong's screenplay. Four years later, he wrote Game Change, HBO's hugely acclaimed Julianne Moore-as-Sarah Palin drama, and found himself accepting his first Primetime Emmy Award. In between, it was announced that he would pen the script for The Lost Symbol, the film adaptation of the third novel in Dan Brown's Robert Langdon series, as well as the two-part Hunger Games finale. Two major fantasy/sci-movies, set to make millions and break records? Strong's Buffy character may not have gotten much respect on the show, but you can bet Andrew and Warren would've been impressed by that. With the acclaim for The Butler, a recurring acting role on Mad Men, and the likely success of his upcoming movies, Strong's career has never been better. It's great to see him finally get the attention Buffy and Gilmore Girls fans know he deserves. For those wondering, the other members of the Trio are having some post-Sunnydale success of their own; Adam Busch, who played legitimately-evil Warren, has a main role on TBS' Men at Work, and Tom Lenk, aka Andrew, has stayed close with his famous show's creator, with supporting roles in Joss Whedon's The Cabin in the Woods and Much Ado About Nothing, among other movies. Things seem to be much sunnier in real life than in Sunnydale.